You must be a member of the Dubai Culture Round Table Group to attend this activity. Would you like to join this group? 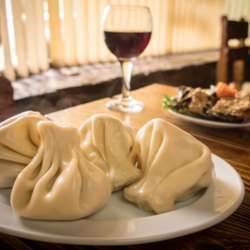 Let us get together at the newly open Traditional Georgian RestaurantProtected content to discover Georgian Culture and Cuisine. Protected content i can be found up on the 31st floor, it’s already one of the city’s highest Georgian restaurant in the world, with some huge floor-to-ceiling bay windows opening up the venue to spectacular views and natural daylight. The freshest organic ingredients are being imported from Georgia on weekly basis thus encapsulating a complete Georgian dining experience.